I am so happy to begin my April Mega Blogging Marathon, where we will be blogging non-stop for the whole month. We do this as a group twice a year and each time we have a varied and challenging theme to work with. I am a big fan of A-Z themes and even if it is not given as a mandatory, I end up doing it. I did the same again this month and I will be doing A-Z scattered across 4 different themes. My themes for this month’s Mega BM are Breakfast recipes, Indian sweets, Street foods and Whole grains. The first recipe for this month is Akki Roti, a famous Rice flour roti from the state of Karnataka. I have heard a lot about this Akki Roti, but have never made it before. 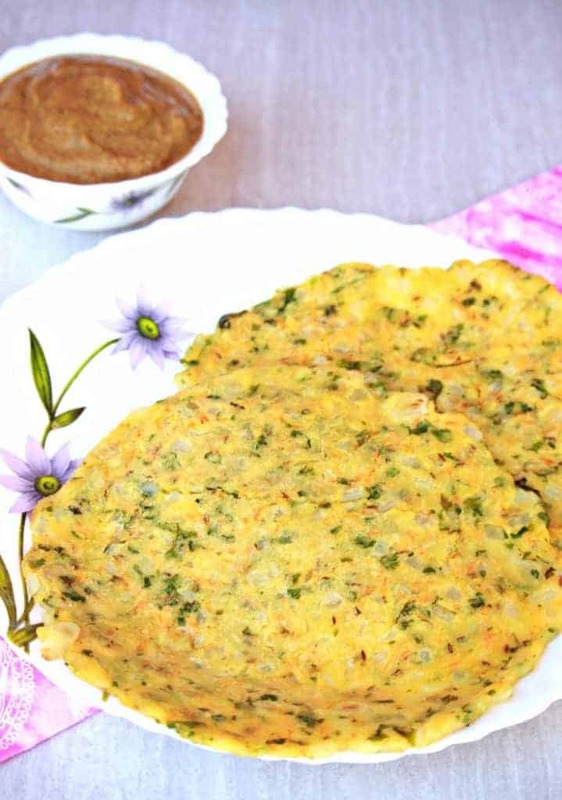 After I made this delicious Akki Roti recipe, I am sad that I did not make this much earlier. The kids loved it and had lots of praise for the recipe. This a very filling breakfast and would keep you filled up for quite a long time. Also, the Akki Roti is very simple to make and can be made in about 15 minutes. Akki Roti uses very basic ingredients as well. I have used onions and carrots in my Akki Roti. We can also add grated cucumber, zucchini along with onion. This is a great choice for someone who is looking for Gluten free and vegan option for breakfast. In a large mixing bowl, measure the rice flour. 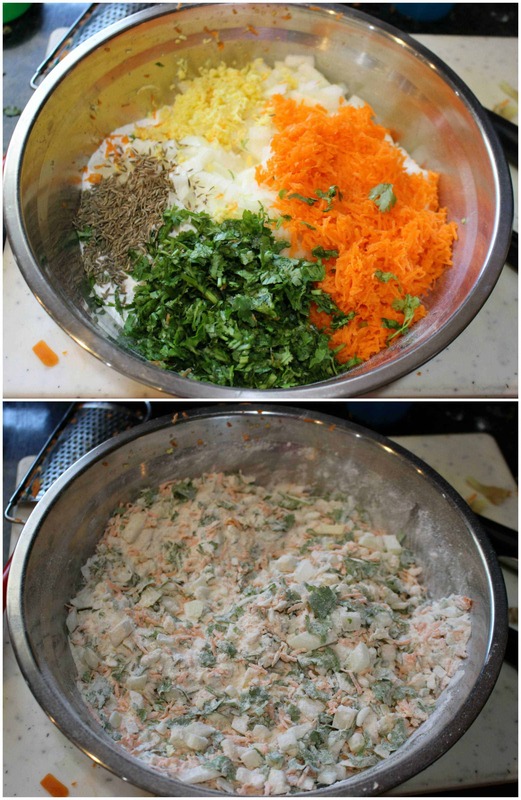 Add the rest of the ingredients in the bowl (except oil and water) and mix everything well. Slowly sprinkle water and mix everything to form a soft dough. Make sure the dough is soft and smooth. 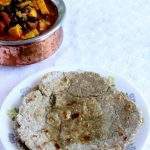 Heat a cast iron pan or any flat pan to cook the Akki Roti. We can pat the dough directly over the hot pan to make it into a flat roti. I shaped mine on a parchment sheet and then placed it on the hot tawa to cook. We could also use banana leaf or aluminum foil to shape the roti. 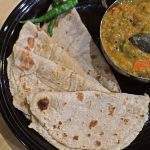 Do not use plastic sheet as we will be laying the shaped roti along with the sheet on the hot pan. Divide the dough into 4. 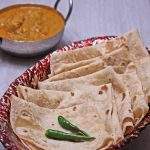 Place one of the piece on a parchment sheet and using wet hands, shape the dough into a thin flat roti. 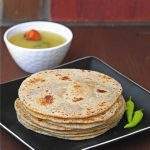 Slowly lift the shaped roti along with the parchment and flip it and place it on the hot pan. Slowly peel back the parchment paper and poke few holes on the roti. Drizzle about 1 tsp of oil around the roti and let it cook on one side. Carefully flip the Akki Roti and cook it on the other side. 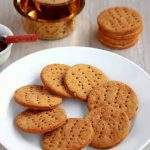 Remove it from heat and serve warm with spicy chutney. 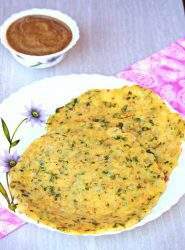 A famous Breakfast from the Karnataka region of India made with rice flour. Gluten free and Vegan Breakfast. 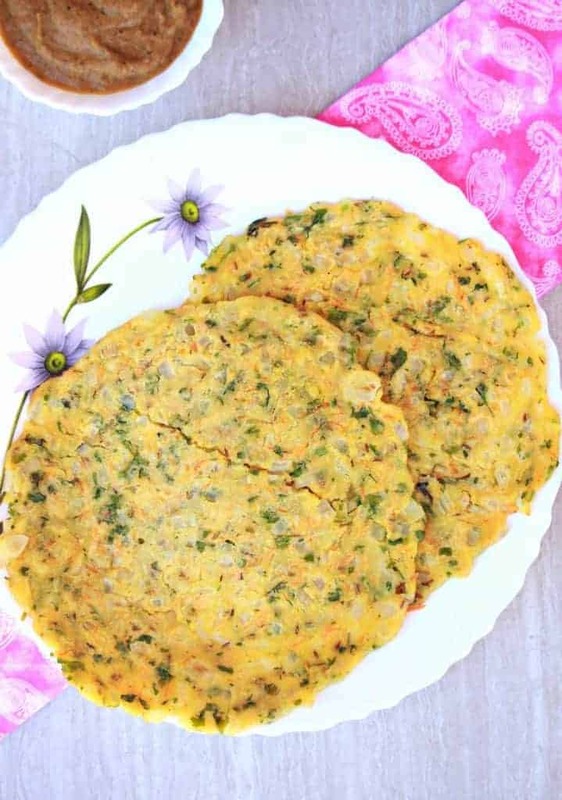 Wow Sandhya, your akki rotti looks so delicious.Looks nice with the carrots. Looking forward to the other dishes in this series. Wow, Akki rottis with carrots looks fabulous and love your theme Sandhya, now am so curious to know what is your next. Wonderful start gal and keep going. Akki roti is in my to do list since forever and now i have postponed it to the Sep BM. 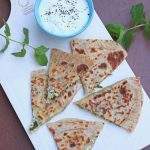 Your akki roti looks perfectly made and beautifully presented. Looking forward to seeing your other yummy recipes. 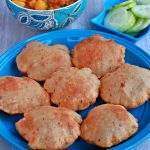 wow, Akki rottis with veggies in them looks scrumptious, how perfectly round they are .. Such a wonderful pick for the theme..am glad to do this marathon and happy about coming back to your blog sandhya 🙂 Can’t wait to see all the breakfast recipes you got for us this week ..
Looks delicious. Lovely start to the series. This is a favorite at home as well. 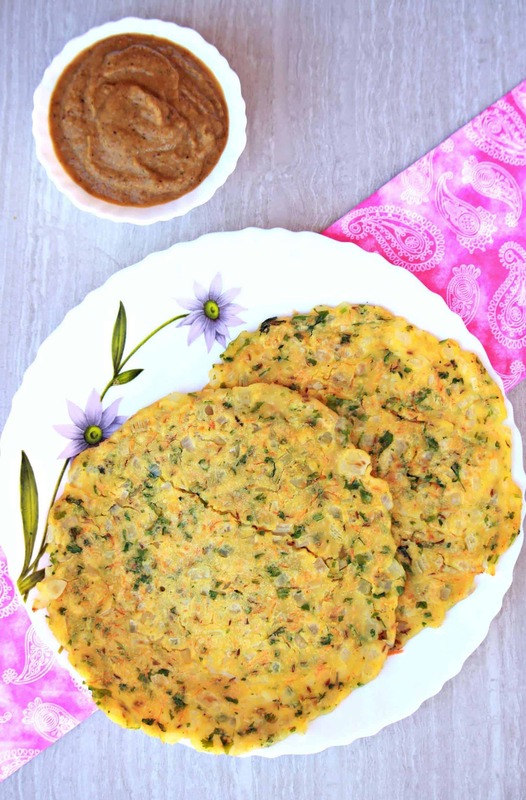 These days, I have started using millet flours instead of rice flour to make this roti. Akki roti looks so perfect and delicious. It’s my to do list for long time, adding veggies make it so interesting & healthy . 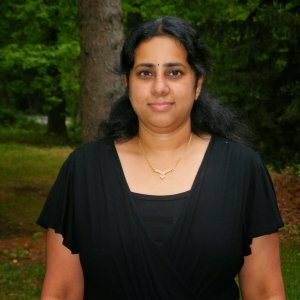 Looking forward to you A-Z series,Sandhya !!! This is our fav too Sandhya but guess what I haven’t posted this on the blog yet. 😉 Try adding a few dill leaves next time. It adds that amazing flavor and I bet you will all love it. A great start with Akki Roti. Akki roti looks perfectly made Sandhya. I’ve never tried it because I worry that it is going to break. You are tempering me give these a try some time. Looking forward to your A-Z amazing creations this month. Excellent roti , so colourful ! Can you believe I have been making this since long and very often too , but never thought of Blogging ! I bind the dough with warm water which makes it more pliable . Beautiful beginning , looking forward to all your interesting posts . Looking forward to your A-Z series. 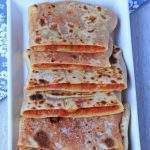 Akki roti is one of my fav as I lived in Karnataka for a while. Even I used to pat the dough separately, but learnt to pat it directly on the tawa. Yours has turned out so colourful and reminds me of the akki roti amma used to make. Its been in my to do list for a long time.. Perfectly made akki roti .Akki roti with onion chutney is my fav combo..
Looks so vibrant and flavorful in taste. .. great start with akki roti. Looks so vibrant and flavorful in taste. .. great start with akki roti and waiting for more recipes. It happens often that you see something delicious being made on a cooking show and decide to make it but then forget about it. Akki roti is one such dish. Your preparation is like a reminder that I have to try it. Looks so beautiful and delicious. All these flavors combined really sound terrific. I will bet this is a great appetizer as well to make it really is beautiful to show off to guests! Oh God, what a tasty looking this Akki Roti is! I am in love with the colors and how simple and short the ingredient list is. Yum! WOW….it was not aware there were so many kinds of roti. I have not tried to make these at home, but I do love to get it when I am out. These sounds delicious…I will have to try making my own. This looks incredible! I love the savory elements to this Akki Roti, and adore trying new dishes! Definitely putting this on my list to make soon! Oh, that’s terrific! I’ve been looking at some of the traditionally gluten free breads – I think that if someone has already figured it out, why wouldn’t I use their knowledge? LOL This looks so delicious! Wow, I love your Akki roti it is perfect because it is gluten-free and vegan. Such a flavorful recipe. 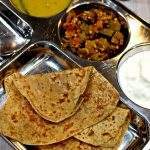 Wow, I love your Akki roti it is perfect because it is gluten-free and vegan. Such a flavorful recipe, I can’t wait to make it. 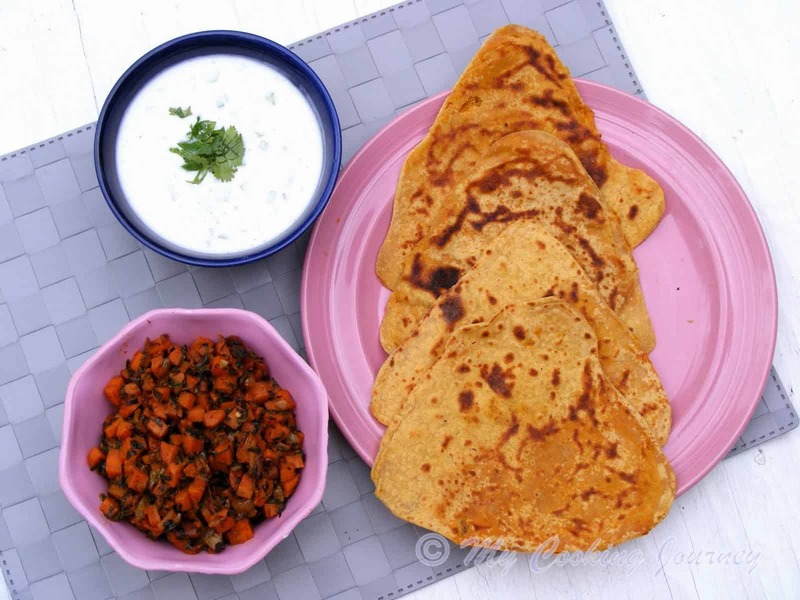 You Akki roti is more flavorful and delicious as you added carrot and other veggies. I have tried only plain one not with veggies, I will give it a try. 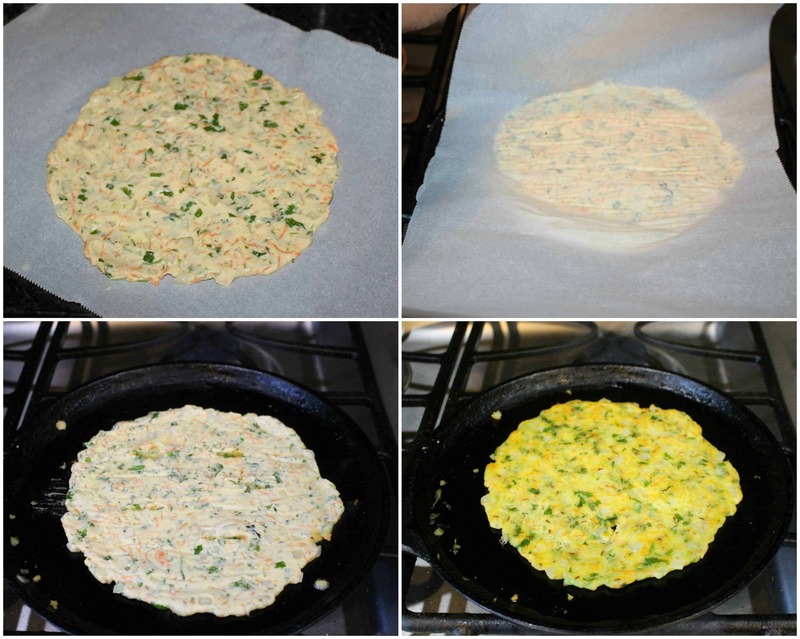 Your Akki roti is more flavorful and delicious as you added carrot and other veggies. I have tried only plain one not with veggies, I will give it a try.